Pufis represent organisms living in an open ecosystem, while the collection of objects functions as a sensitive sensory network. The visitor is subsumed into the artificially produced »biosphere« through active sensor-based interaction. Pufination is incomplete without interaction. There’s no leading role, we’re all just cohabiting. The project thus highlights our relationship to other life as an important factor to every individual’s own survival. In Pufination, we find ourselves inside a simulated projection of our everyday. Decentralised control, close stimulus response and adherence to simple rules – this is what links robots and visitors in the Pufination. Pufi robots are based on the Arduino platform. 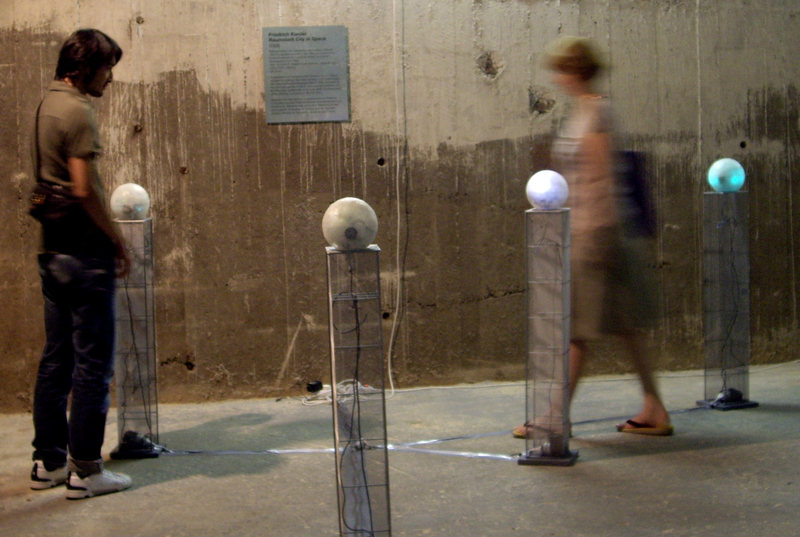 They communicate with each other by a wireless network and with people by touch, sound, light and vibration. The project is supported by the Ministry of Culture of the Republic of Slovenia and the Municipality of Ljubljana.